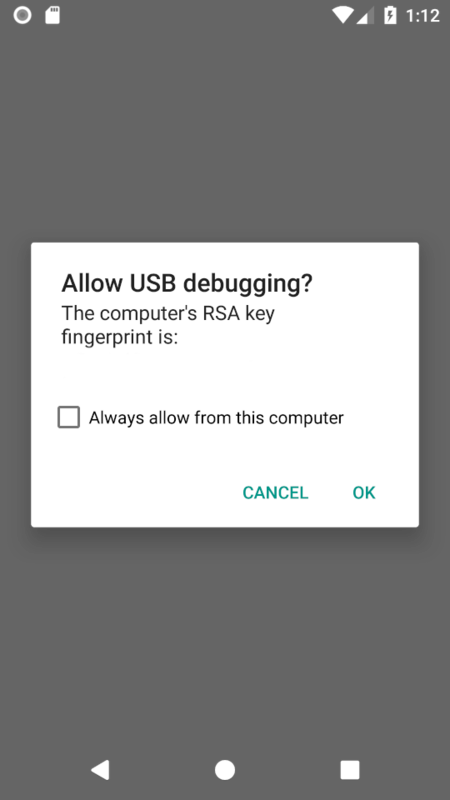 When a new AVD is created or its data is wiped, USB debugging is needed to be allowed from the window (see the figure below) prompted when the operating system (OS) is started. I work on a system that analyzes each Android application on a fresh OS. For this reason, I start the AVD with the wipe-data option. And then I need to enable USB debugging programmatically without rooting the device in order to start the analysis. Tried the answer posted here, but did not work for me. Getting the error device-unauthorized. This adb server's $ADB_VENDOR_KEYS is not set. Browse other questions tagged adb usb-debugging android-emulator or ask your own question.